Housed away from the usual cluster of eateries at the Gold Coast shopping mall and hotel, The Faith is one of the few nicer restaurants catering directly to Beaulieu Peninsula residents and their neighbours. It can be easy to miss if you’re not familiar with the area. The space encompasses a sparsely decorated bar next to the dining room, and while there’s an attempt to create a sophisticated setting (cue candlelight, polished silverware and a well-stocked wine rack), the overall effect smacks more of family friendliness than haute cuisine. Not that there’s anything wrong with that. After all, the restaurant is mostly packed with moms and pops with their kids in tow and no-one seems to be complaining. When it comes to the food, it’s best to start at the raw bar. The oyster selection is particularly impressive, and on the night of our visit, seasonal Gillardeau ($58) and Ancelin ($58) oysters arrive with plump bellies and briny juices. Don’t bother with cocktail sauce – these gems don’t ask for anything more than a squeeze of fresh lemon juice. For those who prefer more minerality on their mollusc, The Faith also carries a splurge-worthy belon ($138) that’s heavy on salt and zinc. Also try the Canadian sea urchin ($168/five slivers). 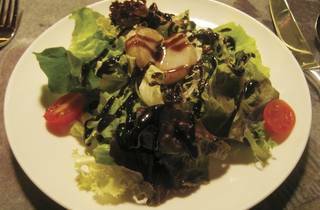 The slices of fresh cucumber are a nice idea but the bold flavours are a slight overkill. Eat the urchin on its own, or wrap a slice in sheets of nori. There’s also a set dinner menu, which is a steal at $298 for five courses. 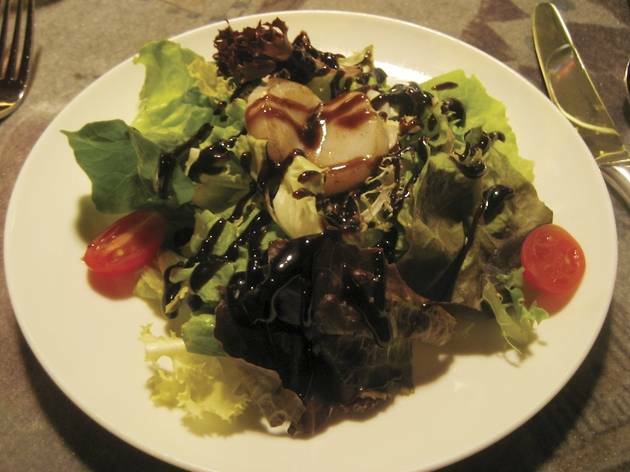 It starts with a simple salad with crisp greens drizzled in treacly 10-year balsamic. Ironically, the only complaint we have is with the single sliver of Hokkaido scallop that tastes bland and wholly unnecessary. Next up, mussels cooked in white wine sauce are fragrant and delicious, despite being on the small side. The same can’t be said for the mushroom cream soup, which is redolent with truffle oil but thin on flavour. Still, the most disappointing are the mains – a choice between pork rack, Australian steak or Norwegian salmon with dill sauce. All three are plated lukewarm and thoroughly underseasoned. The only saving graces are the scalloped potatoes and ratatouille that hold up the fish and meat. UG/F, 87 Beaulieu Penisula, Tuen Mun, 2451 2099. Daily noon-midnight. Dinner for two: around $1,200.